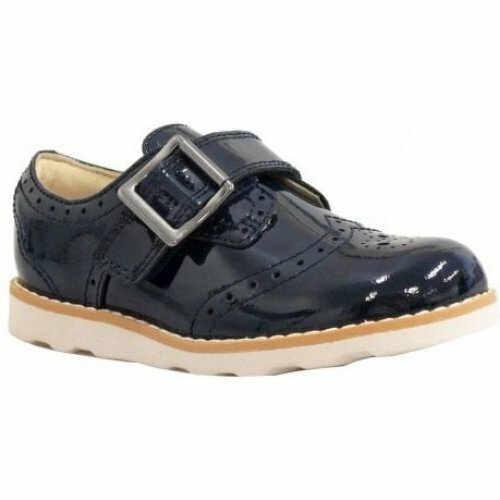 Clarks Crown Pride is a girls T-Bar style school shoe. 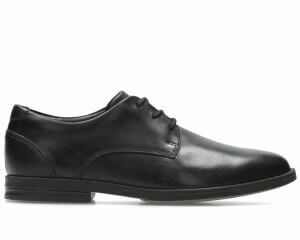 It features a coated leather upper with traditional brogue detailing. The single Velcro fastening strap is made to look like a buckle and provides adjustability and a secure fit when walking. 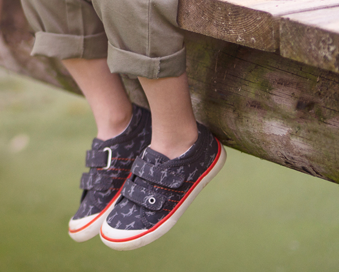 An EVA sole makes the shoe lightweight, whilst the grooves add flexibility. 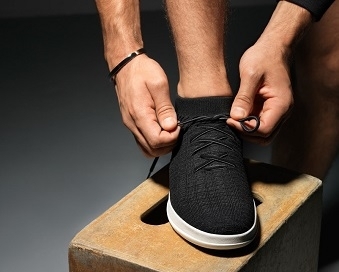 The Air Spring technology allows for breathability, whilst the Antibacterial Agion linings help to keep feet fresh all day long. Step into comfort with Clarks Crown Pride!